Merry Christmas to everyone and best wishes for the New Year! As many of you know by now, after ten years I am standing down as Grand Prix Administrator. Running the GP for a decade has not been without its challenges, but I feel it has definitely proved its worth since, as NZCF President, I first proposed the concept. 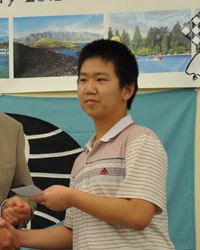 Open - 1 Ben Hague $800 2 Mike Steadman $550 3 Luke Li $400 4 Bob Smith $250. 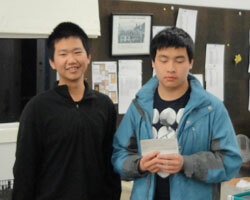 Under 2100 - 1 Hans Gao $300 2 Ben Lim $200 3 Nathan Goodhue $100. 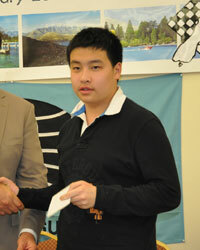 Under 1800 - 1 Alphaeus Ang $300 2 Hristo Kolev (taking 1st Junior prize) 3 William Zhang $200 4 Leo Zhang $100. Junior - 1 Luke Li (taking 3rd Open prize) 2 Hans Gao (taking 1st U2100 prize) 3 Alphaeus Ang (taking 1st U1800 prize) 4 Hristo Kolev $300 5 Joy Qin (taking 1st Female prize) 6 William Zhang (taking 2nd U1800 prize) 7 William Li $200 8 Scott Yang $100. 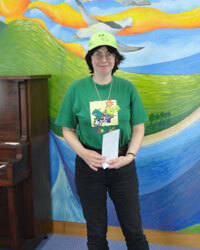 Female - 1 Joy Qin $300 2 Helen Milligan $200 3 Nicole Tsoi $100. 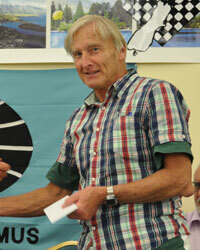 Senior - 1 Paul Garbett $300 2 Wayne Power $200 3 Helen Milligan (taking 2nd Female prize) 4 Peter Stuart $100. 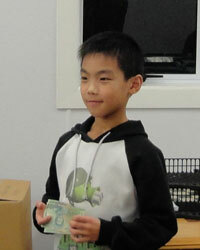 Under 12 & Under 1200 - 1 Daniel Gong (taking 1st U1500 prize) 2 Rodney Li $80 3 Nicole Qin $60 4 Aaron Wang $40. December 28th 2012 - January 6th 2013- Hastings International, Hastings, UK. Kiwis abroad: Bob Mitchell and Hamish Shierlaw are playing in the Open. Follow them at the official site, www.hastingschess.com/. December 8th - 16th 2012 - Australasian Masters, AUSTRALIA. 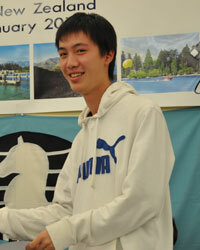 Kiwis abroad: FM Bob Smith and Luke Li took part in this all-play-all event. Both scored 4/9. Comments on the thread at http://www.chesschat.org/showthread.php?t=14359. 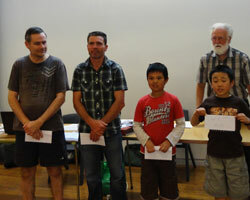 December 12th 2012 - North Shore CC Presentation Night, North Shore. December 9th 2012 - MC Cup Championships 2012, Auckland. 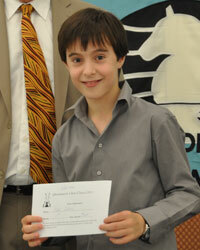 December 1st - 10th 2012 - London Chess Classic, UK. Kiwi success! 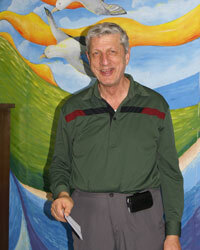 Bob Mitchell, now living in London, was 1st= in the Weekender B under-1800 with 4/5. 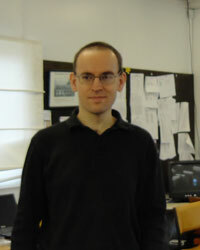 Other Kiwis abroad: FM Nic Croad is competed in the FIDE Open, along with David Guthrie, Alistair Compton, and Hamish Shierlaw. Website http://www.londonchessclassic.com. 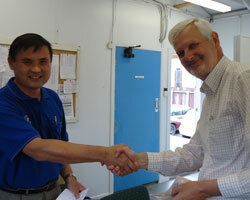 December 1st 2012 - MIT Rapid, Auckland. Vega files for the Juniors, with crosstables etc, are available here. 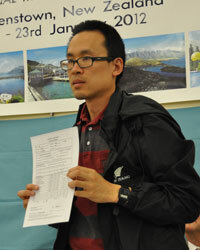 November 25th 2012 - 9th MC Cup Qualifiers, Auckland. November 25th 2012 - 2012 South Island Rapid Championships, incorporating the 2012 All Canterbury Championships, Christchurch. 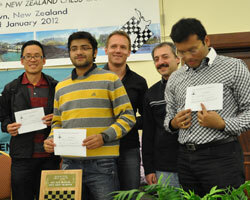 November 18th 2012 - Auckland Chess Association Team Lightning, Auckland. Leading scores: Ralph Hart (NS ‘A’) 19/20, Matthew Barlow (NS ‘A’) 18, Paul Garbett (NS ‘A’) 17½, Scott Yang (WT) 17, Robert Smith (WT) 16½, Antonio Krstev (NS ‘A’) 15½, Nathan Goodhue (AC) 14½, Leonides Guico (WT) & Leo Zhang (AC) 12½. November 12th - 25th 2012 - World Senior Championship, Kammena Vourla, GREECE. Kiwis abroad: Nigel Cooper is playing in the Open. November 7th - 19th 2012 - World Youth Championships, Maribor, SLOVENIA. Kiwis abroad: Allen Fan (Under-8) and Olivia Dong (Under-12 Girls). 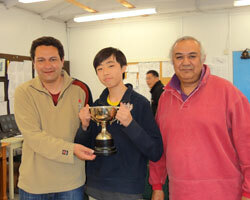 completed November 2012 - Wellington Club Championships, Wellington. 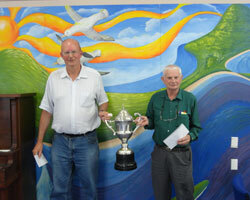 October 26th - 28th 2012 - NZ Seniors Championship, Mt Maunganui. 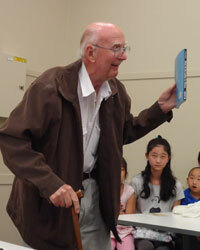 Vega files here, with crosstables etc: NZ Seniors. October 28th 2012 - 8th MC Cup Qualifiers, Auckland. 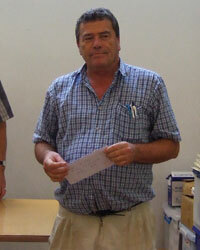 October 19th - 22nd 2012 - Merv Morrison Memorial Chess Tournament, Auckland. Vega files here, with crosstables etc: Open and Under 1800. Games: top five boards from each round can be downloaded here (pgn file). Karl Holdo, Byron Lam and Hilton Jacobs. 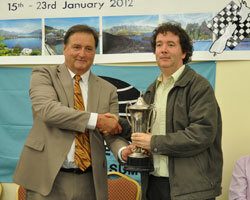 October 10th - 14th 2012 - South Island Championship, Dunedin. Download all the games here (pgn file). 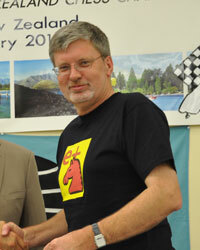 Check out Simon Lyall's photos on the NZCF Facebook fan page at www.facebook.com/NZChessFederation. There are also a lot of my touristy photos (including Taeri Gorge rail trip). 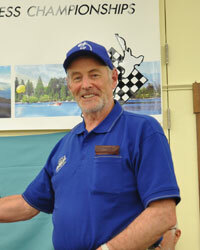 September 29th - October 7th 2012 - George Trundle NZ Masters Tournament, Auckland. 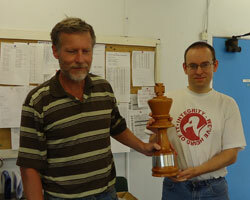 Sponsored by the Auckland Chess Centre and the late George Trundle. 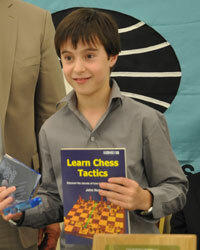 IM norm achieved by Ben Hague with 6½/9. 4th= Luke Li and IM Chan Peng Kong 5, 6th= FM Bob Smith, FM Tim Reilly, and FM Mike Steadman 3½, 9th FM Bruce Watson 3, 10th FM Ewen Green 2½. 6th= Mathew King and Roger Perry 4½, 8th Hilton Bennett 3½, 9th Noel Pinic 3, 10th Nathan Goodhue 2½. Vega files here, with crosstables etc: Masters and Qualifiers. Download games here (pgn file, all 9 rounds). September 29th - 30th 2012 - Interschools Finals, Palmerston North. 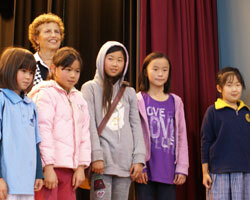 September 25th 2012 - Primary & Intermediate Auckland Region Interschools, Auckland. 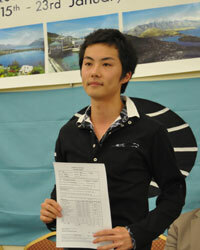 Full Vega results here: Intermediate and Primary. September 22nd - 23rd 2012 - North Shore Open, North Shore. 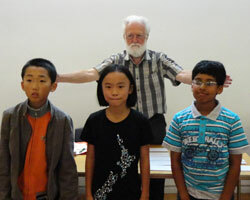 September 15th-16th 2012 - Westfield Junior, Westfield Pakuranga. 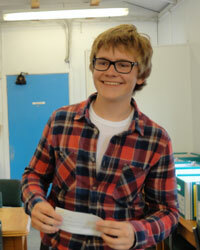 Full Vega results here: Westfield Junior. September 8th 2012 - Kapiti Rapid, Kapiti. 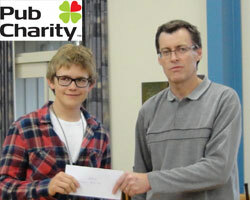 Michael Nyberg won the A-grade with 5½/6. 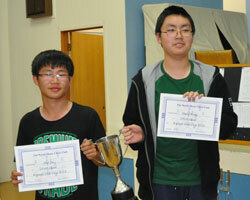 September 5th 2012 - South Island Schools' Chess Championships, Ashburton. August 27th - September 10th 2012 - Chess Olympiad, Istanbul, TURKEY. 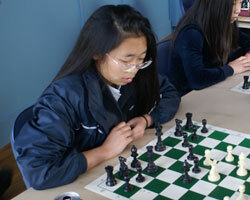 Judy Gao brought home a title, scoring 6/9 for wfm. Full results with all the statistics you could possibly want can be found at http://results.chessolympiadistanbul.com/. 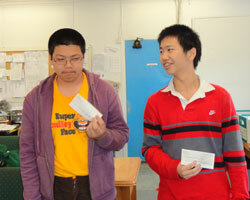 See our Olympiad Page for more details and updates. Official website: http://istanbul2012.tsf.org.tr. August 12th 2012 - A-Grade Interclubs, Auckland. Round 5 NS 2-4 HP and WT 3-3 PT. Final result - 1st Auckland CC, 2nd North Shore, 3rd Howick-Pakuranga. August 3rd - 5th 2012 - Waikato Open, Hamilton. 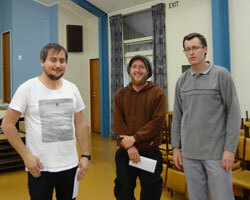 1st= FM Ben Hague, FM Mark Noble, and Ralph Hart. Download the Open pgn file here and the under-1800 pgn file here. 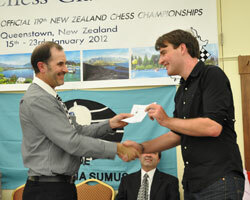 See also many photos (thanks to Simon Lyall) at www.facebook.com/NZChessFederation. Full Vega results here: Open and Under 1800. July 22nd - August 4th 2012 - British Championship, North Shields, UK. Kiwis abroad: wim Sue Maroroa scored 5½/11 (under-21 Girls prize) in the Championship and Bob Mitchell (now living in the UK) 2½/7 in the Seniors. Official website: britishchesschampionships.co.uk/. 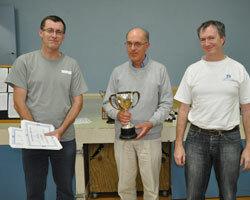 July 29th 2012 - A-Grade Interclubs, Auckland. July 24th 2012 - Canterbury Girls' Interschools - Team event, Selwyn House Girls' School. Rangi Ruru Girls' School A (9); Rangi Ruru Girls' School B (8); Rangi Ruru Girls' School C (7); Christchurch Girls' High School B (4); Christchurch Girls' High School C (4). 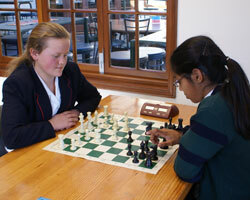 Selwyn House Girls' School A (5); Cobham Intermediate B (0). Waimairi B (9); Cotswold A (8); Selwyn House B (7); Selwyn House C (6); Bromley A (6); Bromley B (2). July 22nd 2012 - A-Grade Interclubs, Auckland. 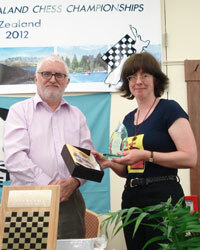 July 22nd 2012 - Feilding Chess Club Rapid, Feilding. 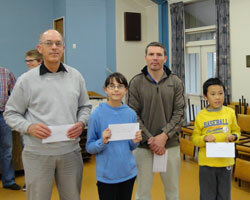 July 22nd 2012 - Manawatu School Pupil Championships, Feilding. 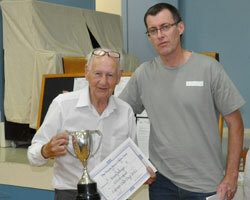 June 12th - July 18th 2012 - Richard Sutton Cup Rapid, Howick. 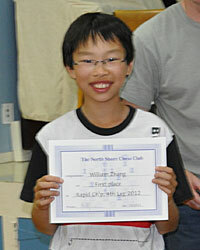 1st Ben Lim with 7½/8. 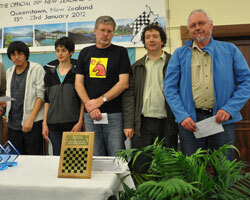 July 15th 2012 - North Island Rapid Championship, Auckland. 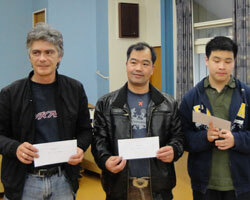 1st= and joint North Island Rapid Champions: Hans Gao, Ralph Hart and FM Bob Smith. Download pgn file here (includes only games from the top 5 boards which were broadcast live). July 11th - 14th 2012 - North Island Championship, Auckland. 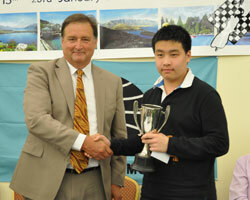 Australian FM Chris Wallis won the event; Luke Li is North Island Champion. Photos will follow. 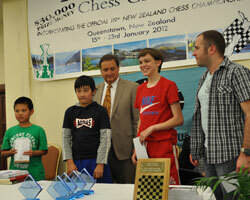 July 3rd - 6th 2012 - NZ Junior Championship, Waitakere, Auckland. 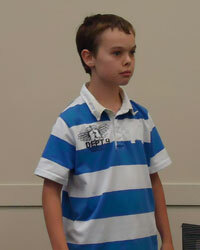 See also www.waitakerechess.org.nz and http://www.chessdom.com/new-zealand-junior-chess-championships/. 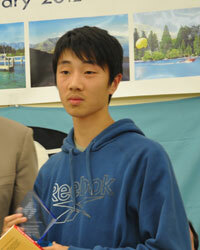 July 2nd 2012 - NZ Junior Rapid Championship, Waitakere, Auckland. 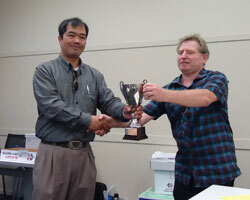 June 30th 2012 - Upper Hutt Open "25 + 5" Tournament, Upper Hutt. 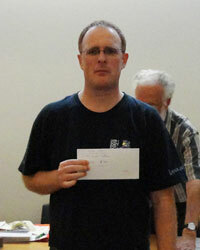 June 24th 2012 - A-Grade Interclubs, Auckland. 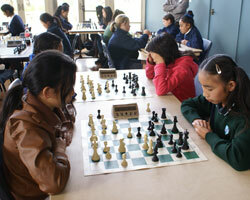 June 20th 2012 - Auckland Girls Chess Championship, Auckland. 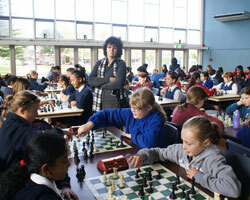 Ex NZ women's champion Katrine Metge keeps an eye on some of her students from Rosehill Intermediate amongst others. 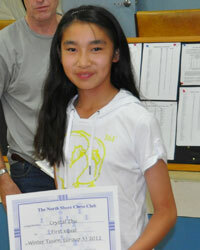 Over 12 tournament winner Nicole Tsoi. 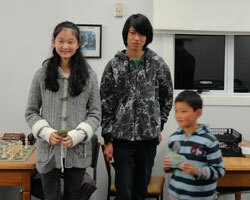 Under 12 Champion Crystal Zhu (right) plays joint runner-up Bella Qian, both from Takapuna Normal Intermediate. Runners-up in the Under 12 tournament, Karen Geng (left) from Ponsonby Intermediate plays Olivia Dong from St Kentigern College. 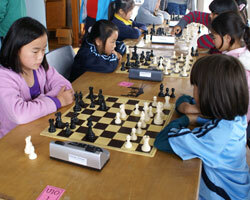 Jasmine Pickston plays against Ally Tang in the Under 10 tournament Joint under 10 champions (left to right): Jasmine Pickston; Jasmine Zhang; Dahlia Feng; Ally Tang; Nicole Qin. 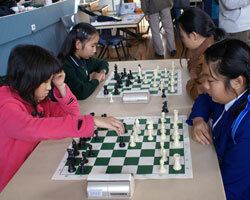 June 14th 2012 - Bay of Plenty Girls Chess Championship, Tauranga. 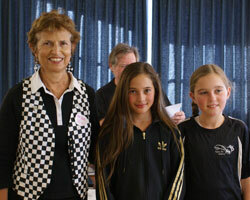 Viv Smith, organiser, congratulates joint primary champions Maia Moko (centre) from Fairhaven Primary (Te Puke) and Bailey Berentsen from Pyes Pa School, Tauranga. 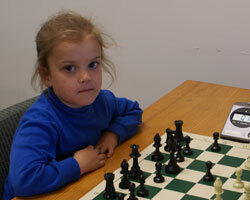 Youngest player, 5 year old Niamh Alison from St Joseph's Catholic School , Whakatane, playing in her first chess tournament. 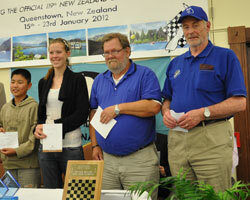 June10th 2012 - A-Grade Interclubs, Auckland. June 9th - 11th 2012 - NSW Open, Sydney, AUSTRALIA. 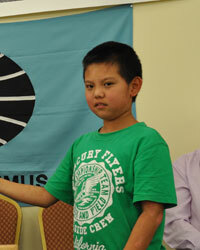 For full results see http://www.chess-results.com/tnr74946.aspx?art=0&lan=1&fed=AUS. 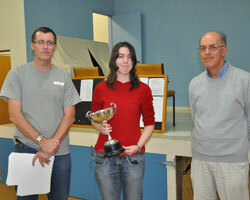 Kiwis: Helen Milligan 4½/7 (and a share of the 1850-2000 grading prize), Gavin Marner 4, Hilton Bennett 3½. 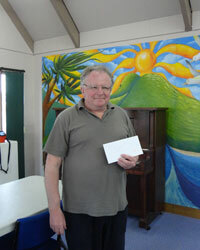 June 2nd - 4th 2012 - 35th Trusts Chess Open (formerly Waitakere Licensing Trust Chess Open), Henderson, Auckland City. 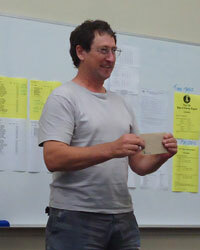 1st in the A-Grade: FM Ben Hague with 5½/6. 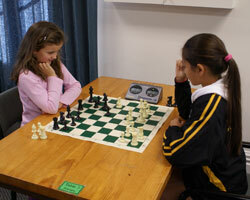 See full details at Waitakere Chess Club. June 1st - 7th 2012 - Asian Seniors Championship, Sydney, AUSTRALIA. 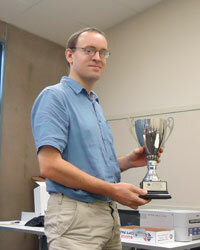 See http://chess-results.com/tnr73283.aspx?lan=1 for full results. Kiwi scores: Helen Milligan & Hilton Bennett 5th= on 5½/9; Nigel Cooper 3½. 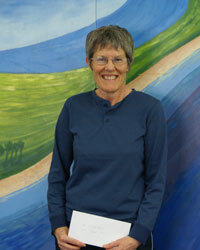 Helen becomes Oceania Senior Women's Champion (but there was only one person in the event eligible for this!). 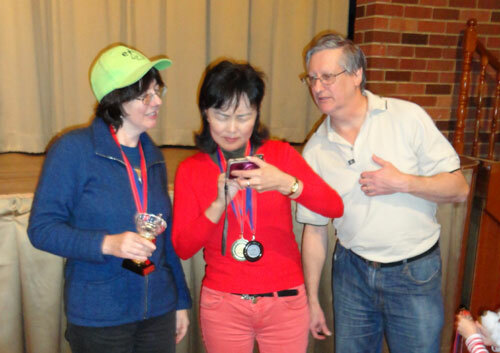 Helen Milligan, Shirchin Battsengel (Asian Senior Women's Champion, and silver in the Asian Seniors) and Anthonie Pieter Luchtmeijer, Asian Seniors and Oceania Seniors Champion. 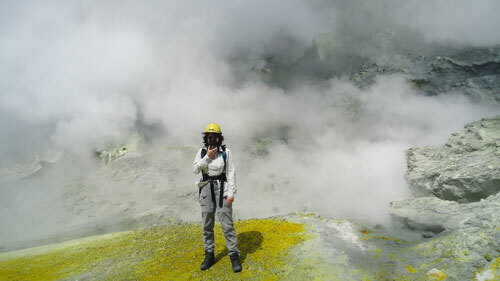 May 26th 2012 - Manawatu Rapid, Palmerston North. 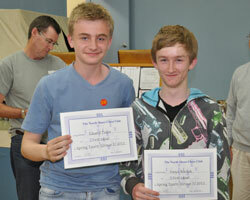 1st= FM Ben Hague and FM Mark Noble with 5/6. 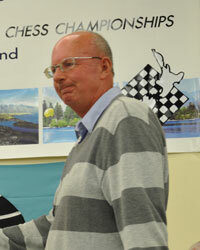 Guy Burns has provided many photos of the event at https://sites.google.com/site/kapitichessclub/Home/chess-photos. May 19th - 20th 2012 - ACC Weekender, Auckland. May 6th 2012 - St Paul's Rapid, Hamilton. May 5th - 11th 2012 - Fiji International Open, Suva, FIJI. Following an unexpected decision to split what would have been a 38-player Open into a 22-player Open and a 16-player Women's event, the top seeds in each section slaughtered their opponents to finish on 9/9. UPDATE: I am informed that the organisers decided to split the tournament into male and female sections because Fiji wanted the tournaments to be Olympiad qualifiers for its Open and Women's teams. 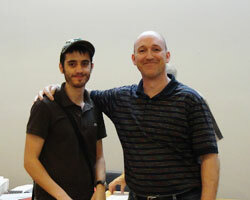 Full Open results at http://chess-results.com/tnr72163.aspx?art=2&rd=1&lan=1: 1st GM Darryl Johansen 9/9, 2nd IM George Xie 7/9, 3rd FM Bob Smith 6½/9. Full Women's results at http://chess-results.com/tnr72178.aspx?art=2&rd=1&lan=1: 1st wfm Viv Smith 9/9, 2nd= Hilda Vukikomoala, Gloria Sukhu, & Kabrina Terubea 6½/9. April 29th 2012 - 2nd MC Cup Qualifiers, Auckland. April 25th 2012 - Anzac Rapid, Hamilton. April 10th - 15th 2012 - Sydney International Open, Parramatta, AUSTRALIA. See http://parrachessclub.org/SydneyInternationalOpen/. 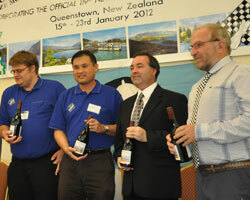 Kiwis abroad: FM Bob Smith, Luke Li, Peter Stuart, Hilton Bennett, Helen Milligan, and Bob Mitchell. 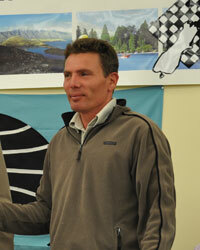 Gavin Marner, who now lives in Australia, was another kiwi playing. 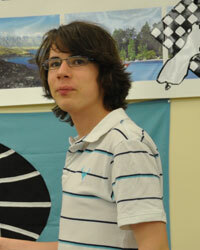 Follow the results at http://chess-results.com/tnr70282.aspx?lan=1. Final kiwi scores in the Open: Smith & Li 4½; Stuart 4; Marner, Bennett & Milligan 3½. April 6th - 8th 2012 - Wellington Open, Wellington. Thanks to John Mcdonald for the photo and Ian Sellen for the full results. April 5th - 9th 2012 - Doeberl Cup, Canberra, AUSTRALIA. See http://www.doeberlcup.com.au/. 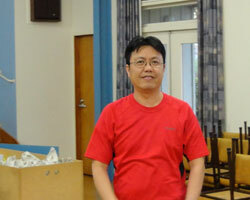 Kiwi abroad - Luke Li. 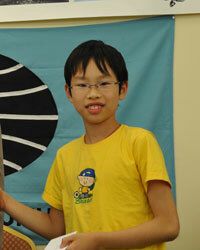 Full results at http://chess-results.com/tnr69889.aspx?lan=1. 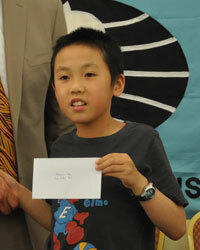 Luke performed extremely well, finishing 15-22 with 5½/9, the highest untitled player in the event. He put in a TPR of 2357 and drew his last three games against a GM and 2 IMs. March 25th 2012 - 1st MC Cup Qualifiers, Auckland. March 18th 2012 - Howick-Pakuranga Annual Latvian Rapidplay, Pakuranga, Manukau City. 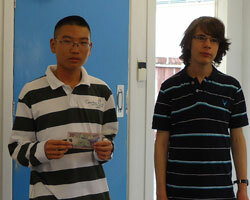 March 10th - 11th 2012 - Auckland Chess Centre Weekender, Auckland. February 25th 2012 - Bay of Plenty Rapid, Tauranga. 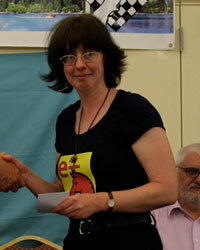 February 15th - 19th 2012 - e2e4 Chess Brighton International, Brighton, UK. 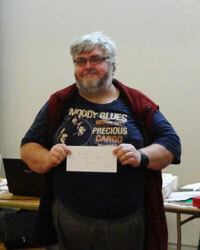 Victory with 6½/9 for FM Nic Croad, and his second IM norm. See the full details at the official website, e2e4.org.uk/brighton/Feb2012/mastersA.htm. February 4th - 5th 2012 - Challenge Match, Auckland. 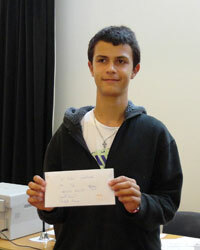 A four game match between Brazilian International Master Herman van Riemsdijk and leading NZ junior Luke Li took place at the Auckland Chess Centre, 17 Cromwell Street, Mt Eden, with a time control of 60 minutes plus 30 seconds per move increment. Final result: van Riemsdijk 3 - 1 Luke Li. Download the games here (pgn file). 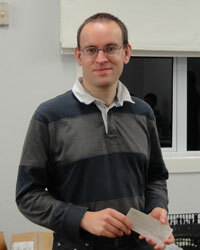 Brazilian International Master Herman van Riemsdijk played a clock simul on 12 boards against members of the Hamilton Chess Club on the evening of Tuesday 31st January. 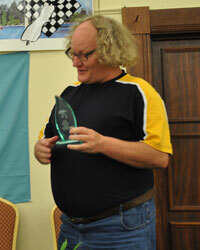 IM van Riemsdijk scored +11 =0 –1 with a loss to newly arrived Dutch player Peter Hulshof (FIDE 2223). Two other players, Richard Dare and Scott Humphreys, performed well and almost managed to hold the draw, but the IM prevailed in the end. 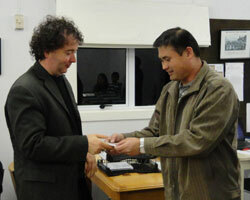 The simul marked the opening night of the Hamilton Chess Club for 2012 (hamiltonchess.net). 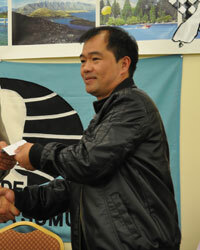 Indian GM Surya Ganguly gave a simul at H-P CC on Tuesday evening on 22 boards. 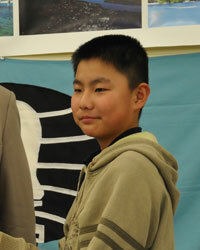 He lost two (Byron Lam & Andrew Janisz) and drew one (Edwin Yip). 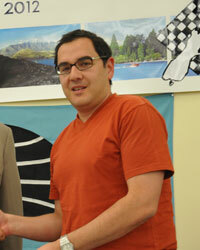 Indian GM Surya Ganguly gave a simul at ACC on Monday evening on 28 boards, finishing with +26 =1 -1 in 3 hrs 30 mins. 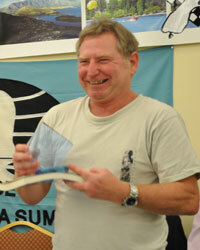 A well-deserved win for Keith Ward and draw for Hilton Jacobs. Several of the top NZ juniors whom the GM had been coaching earlier in the day played - none succeeded in holding the grandmaster (Luke Li, Hans Gao, William Li, Alan Ansell, Nicole Tsoi, William Zhang ). 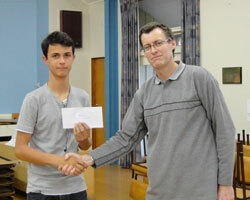 January 28th - 29th 2012 - NZ Rapid and Lightning Chess Championships, Auckland. 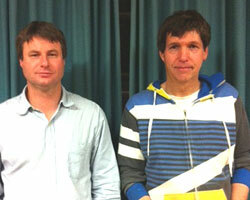 2nd= and joint NZ Rapid Champions: Bruce Watson and Ben Hague (Ben's NZ Residence status has been confirmed). A huge vote of thanks is due to Ian McInally and Keong Ang, who took over the running of the event at very short notice. 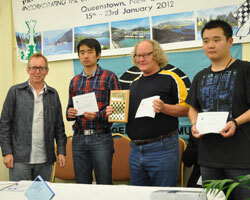 January 15th - 23rd 2012 - Queenstown Chess Classic, Queenstown. The 3rd edition of New Zealand's most prestigious event. Nine-round swiss-system International Open with norm opportunities, also incorporating the 119th New Zealand Championship. 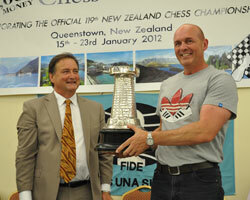 Watch the website www.queenstownchess.com for more details. 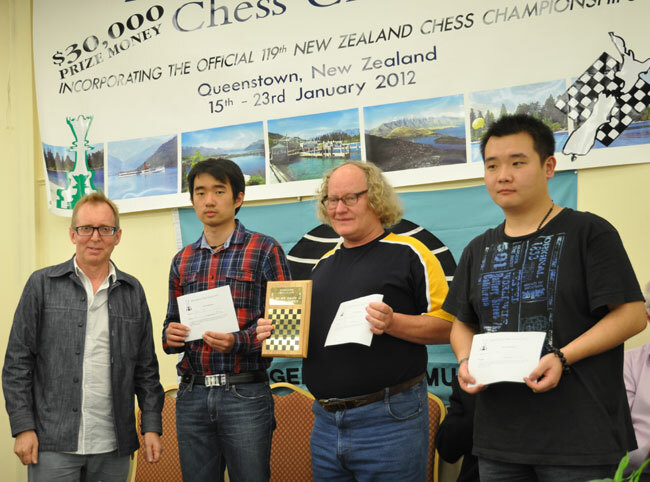 This event is a Myer Tan NZ Chess Grand Prix Super event (the first of the new season), and is also included in the Oceania Grand Prix. 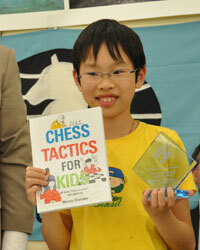 See http://www.chess-results.com/tnr63826.aspx?lan=1 for full results. Download the pgn file here (updated :- all games, 27 February 2012 - thanks to Peter Stuart and Justin Davis). 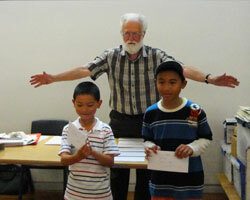 Sponsor Murray Chandler presents the prizes to first-equal finishers Zhao Jun, Darryl Johansen, and Li Chao. Johansen was first on tiebreak. More results and photos later. 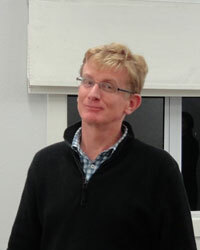 GM Gawain Jones (for the game Sukandar-Jones, round 6). 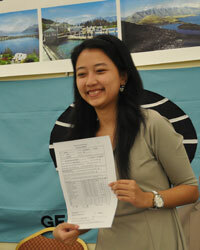 IM norms were scored by wgm Irine Karisma Sukandar (her fourth), FM Junta Ikeda (his first) & Trevor Tao (who can now apply for the title, having three norms and the required rating). This is a low-resolution version of the group photo. Download the high-resolution one here (jpeg, about 3 MB). You can use it freely but please credit the photographer, Wolfgang Thiele. 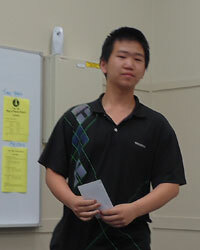 December 27th 2011 - January 8th 2012- 2012 Australian Chess Championship, Geelong, AUSTRALIA.